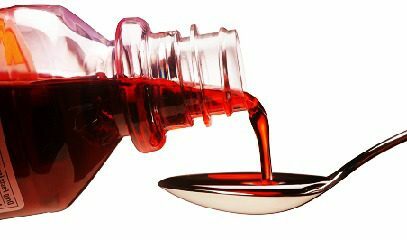 Tennessee and New Jersey are the latest states to enact legislation prohibiting sales of over-the-counter (OTC) cough medicines containing dextromethorphan (DXM) to minors. The laws are designed to decrease the abuse rate of these medicines by teens, while maintaining access for legitimate consumers of these products. Tennessee’s law took effect January 1, 2016, while New Jersey’s law took effect February 1. California was the first state to prohibit sales to minors in 2012. Other states that ban DXM sales to minors include New York, Arizona, Louisiana, Virginia, Kentucky and Washington. The Consumer Healthcare Products Association (CHPA) supports federal legislation to ban the sale of OTC cough medicine to those aged 17 or younger nationwide, according to Jenni Roberson, Director of Communications and Media Relations. “The laws not only prevent young teens from abusing these products, but by requiring proof of age, they make parents aware of the problem,” Roberson said. She spoke about preventing cough medicine abuse recently at the Community Anti-Drug Coalitions of America (CADCA) 26th National Leadership Forum in Washington, D.C.
An estimated 3 percent of teens abuse cough medicine, according to the 2015 National Institute on Drug Abuse and University of Michigan’s Monitoring the Future survey released in December. When first reported by Monitoring the Future in 2006, teen OTC cough medicine abuse was at just under 6 percent. DXM is the active ingredient in most OTC cough medicines. According to the CHPA, it is safe and effective when taken according to labeling instructions. However, when taken in excessive amounts higher than recommended doses, DXM can product side effects including nausea and vomiting; stomach pain; confusion; dizziness; double or blurred vision; slurred speech; impaired physical coordination; rapid heartbeat; drowsiness; numbness of fingers and toes; and disorientation. In addition, many medicines containing DXM may also contain other ingredients such as antihistamines, analgesics or decongestants. High doses of these combination medicines can greatly increase the harmful effects, such as potentially fatal liver injury, cardiovascular effects and over-sedation. Teens sometimes abuse DXM along with alcohol or other drugs, which can cause additional harmful effects, according to CHPA. Roberson says teens may abuse OTC cough medicines because they are easily available and inexpensive. Many teens believe they are less dangerous than illegal drugs. Some teens take more than 25 times the recommended dose of cough medicines to get high, the CHPA notes. Other signs of DXM abuse are similar to those of other types of drug abuse, such as changes in friends, physical appearance or sleeping or eating patterns; declining grades; loss of interest in hobbies or favorite activities; hostile and uncooperative attitude; and unexplained disappearance of household money. For more information about preventing cough medicine abuse, visit stopmedicineabuse.org/. The U.S. Justice Department announced it is targeting doctors and drug dealers in its latest crackdown on opioids, The New York Times reports. The White House has announced President Trump will nominate Pennsylvania Congressman Tom Marino to lead the Office of National Drug Control Policy, according to The Washington Post. Calls to poison control centers regarding dietary supplements increased by almost 50 percent between 2005 and 2012, according to a new study. A majority of the calls involved children 6 years old and under. The National Drug Court Institute (NDCI) is offering free training to juvenile drug court staff in a brief, evidence-based intervention for adolescents abusing drugs and alcohol. I wouldn’t have thought that Romalar CF would have become such big problem with teens. During the era of the 60s some high school students would recreational drink and then go to the airport to listen to the airplanes land and take off. It gave an echo effect somewhat hallucinogenic. But I never heard of anyone getting loaded and becoming dependent of constantly abusing it. It’s great these cough medicines are being restricted in California our youth are stealing it. We need to get them put behind the counter. A lot of our retailers have noticed and started putting it where customers have to ask for it.